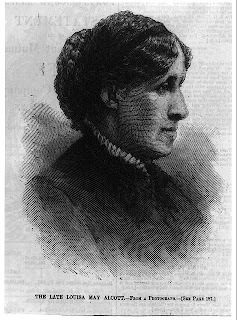 Louisa May Alcott: The Woman Behind Little Women is the name of both a documentary film, and a book that is due out next week. The book, written by Harriet Reisen, is on order and should be ready to borrow in a few weeks. 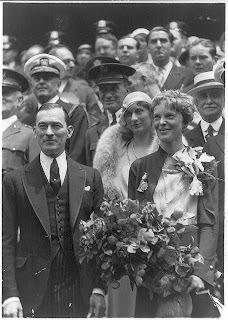 The film will be broadcast on PBS's American Masters on December 29, but if you're willing to travel down to Concord, MA, there is a special showing next Friday, October 30, at Orchard House, the Alcott family home. Even if you don't go to the showing, I'd highly recommend you visiting Orchard House. If you've ever read Little Women [F ALC], or seen one of the filmed versions, you'll want to see the setting that inspired the work. Orchard House makes for a pleasant day-trip destination, too, while you're there plan to visit some of the unique little shops and restaurants in Concord. Until the new book arrives, you can read about Alcott in Eden's Outcasts: The Story of Louisa May Alcott and Her Father by John Matteson [B ALC] or in American Bloomsbury: Louisa May Alcott, Ralph Waldo Emerson, Margaret Fuller, Nathaniel Hawthorne, and enry David Thoreau: Their Lives, Their Loves, Their Work by Susan Cheever [810.99 CHE]. Where food is concerned, a little decorative element can make all the difference. Your kids don't want to eat healthy foods? Cut them into fantastic shapes and see what happens. 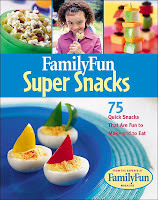 This idea is fully realized in FamilyFun Super Snacks: 125 Quick Snacks That Are Fun to Make and to Eat [641.539 FAM]. Want to make a birthday memorable? A stunning cake will do the trick. Sweet Celebrations: The Art of Decorating Beautiful Cakes by Sylvia Weinstock [641.8653 WEI] will show you how to achieve birthday cake magic. Need to impress your friends? Invite them to a coffee klatch where the coffee itself is decorated! Check out this website for show-stopping ideas. Come down to see what else our collection has to offer! 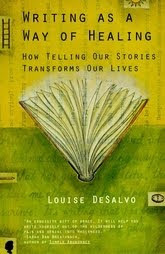 celebrates the foundational place of writing in the personal, professional, and civic lives of Americans. No one can deny that writing is an important part of every American's life. We write emails, Facebook postings on our walls, recipes for our favorite foods. At work we send memos, write procedures, answer queries. As citizens we petition our representatives in Congress and write letters to the editors of newspapers. National Day on Writing provides an opportunity for individuals across the United States to share and exhibit their written works through the National Gallery of Writing. Why not share some of your writing at the National Gallery of Writing? Almost every kind of writing is welcomed. It's amazing to me that works of Leonardo Da Vinci are still being uncovered, but that's just what happened recently. There is also a mystery in which da Vinci is the detective! Look for George Herman's Tears of the Madonna [MYS HER]. 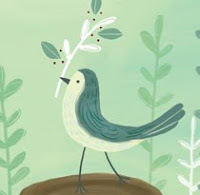 Mary Oliver's latest collection is called Evidence [811.54 OLI], it is her 19th book of poetry. Let me list a few of the subjects of her poems: mockingbirds, swans, sparrows, wolves, a river, the moon, grass, water, violets, etc. Oliver's deep respect for the natural world is evident throughout, yet she also deals with human concerns such as a trip to Mexico, the loss of loved ones, and poetry. Some might find these poems sentimental or trifling, but many of them speak to me. Perhaps because I'm getting older? Taking less for granted? 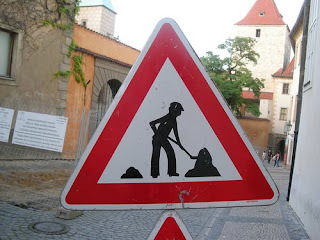 Becoming more aware of how human beings are driven by greed? 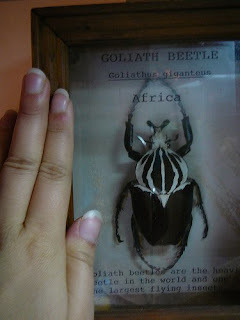 Realizing how little I've accomplished? All of the above? If I keep on, I'll be weeping over the D I got on my geometry mid-term in high school! How about I simply share a favorite poem? Laura Salas is hosting the Poetry Friday Round-Up for this week. Stop by! Yes, Halloween is just around the corner. I was reminded of this fact by the sign at exit 2, off 93, that advertised the ScreeemFest going on at Canobie Lake Park each weekend through the end of the month. The tagline is "Where fear meets fun." The website alone is creepy enough for me with its bugs running willy-nilly across the page! There is, supposedly, a Pumpkin Palace designed for little kids, so you can take the whole family. Anyone attending in costume, will be turned away, so there won't be the ghoulish wise-guy in the crowd to scare your kids. So, now that you've been reminded of the upcoming holiday, you may want to start thinking about costumes, decorations, and Halloween treats. We have many books covering pumpkin decorating and other fun ideas. 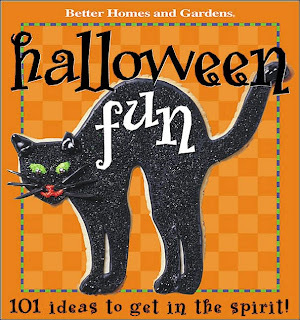 Better Homes and Gardens' Halloween Fun: 101 Ideas to Get in the Spirit [394.2646 HAL] is one of the more colorful and inviting books on the shelf. I love the simple decorating idea of using glitter glue to make sparkly swirl designs on a pumpkin--it would make a wonderful centerpiece at a little girl's Halloween princess party! And don't worry, there's plenty for the boys, too, like the "Cheesy Goblin Head" snack, or the "Eerie Luminarias." Sometimes you get yourself in a blue funk and you just have to wallow in deeply depressing music or books. AbeBooks.com, my favorite online used book site, has created a list they call "Bleak Books--the Top 10 Most Depressing Books." We have all of the titles in our Fiction section. If you're looking for a list of most depressing songs, do a Google search, you'll find hundreds. Don't laugh, but my favorite most depressing song is from the film Toy Story 2 [J DVD TOY], "When She Loved Me" by Sarah McLachlan. The grandson of Joseph Stalin seems to think so, he's in court suing a Russian newspaper for stating that Joseph Stalin personally ordered the deaths of Soviet citizens. It appears that there is a growing movement to rehabilitate Stalin's image. Whether or not it succeeds, remains to be seen. To learn more about Joseph Stalin, you can borrow Stalin: The Court of the Red Tsar by Simon Sebag Montefiore [947.084 MON]. "Stalin: The Court of the Red Tsar," by the British journalist and novelist Simon Sebag Montefiore, reverses this approach: it pays minimal attention to Stalin's politics and concentrates on the man and his immediate associates. This was made possible by the author's access to previously secret private documents, including Stalin's notes and messages, as well as by interviews with the surviving offspring of his closest companions. 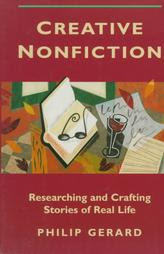 In addition, Montefiore has made an exhaustive study of the published literature. The result is the first intimate portrait of a man who had more lives on his conscience than Hitler and yet, according to opinion polls, is regarded by Russians even today as a giant, the fourth greatest human being in world history. The The New York Times has also collected many online resources about Stalin here. If you don't want to devote the rest of the year to Stalin (the book above is 785 pages) then perhaps you would like to borrow Stalin a docudrama originally aired on HBO [VIDEO STA]. The library is closed today for the federal holiday, Columbus Day. Of course we are all familiar, by now, with the mythology surrounding Columbus (see Lies My Teacher Told Me: Everything Your American History Textbook Got Wrong by James W. Loewen [973 LOE]). A scholarly look at the real story of Columbus's encounters, can be found in Columbus's Outpost among the Taínos: Spain and America at La Isabela, 1493-1498 by Kathleen A. Deagan [972.93 DEA]. Leaf by Leaf: Autumn Poems selected by Barbara Rogasky [J 811.008 LEA] is an absolute treat! The accompanying photos by Marc Tauss are bright, moody, glowing, evocative in black and white, and color. A nice variety. Make sure you pick up this picture book of poems on your next visit! 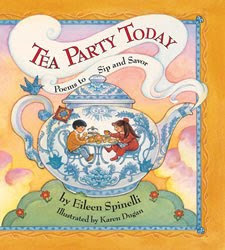 Today's Poetry Friday Round-Up is being held at Picture Book of the Day. We have lots of books about rats here at the Library. Most are children's books since animals are popular characters. 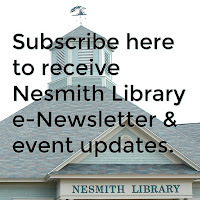 Look for Mrs. Frisby and the Rats of NIMH by Robert C. O'Brien, which is a Newbery Award winner [J OBR], or The Mystery of the Burmese Bandicoot by Judy Cox [J MYS COX]. In the adult section, too, we have rat fiction including Skirt and the Fiddle, a novel by Tristan Egolf [F EGO] which is a story about love and killing rats, and The Amazing Maurice and His Educated Rodents by Terry Pratchett [SF PRA]. An American World War II POW in a brutal Japanese prison camp in Singapore seeks dominance over both captive and captors using human courage, his understanding of human weaknesses, and willingness to exploit every opportunity to enlarge his power. What the description fails to mention is that the "opportunity" is providing a form of protein, if you know what I mean. The other day I awoke from a very strange and disturbing dream. 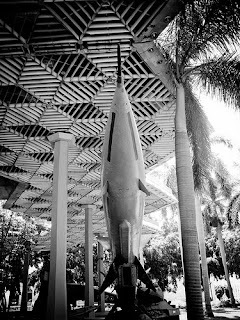 I found myself amongst some relics that had been recovered from the sea. Part of it was the bow of a pirate ship which was constructed of human skulls and bones. You might want to suggest therapy, but let me tell you what I've been doing lately--watching all the seasons of the tv program Bones [DVD BON]. I'm now on season 4 and by my estimate I've seen over a million skulls so far. It's no wonder I'm seeing skulls in my dreams! Where the pirates come in is anyone's guess. Bones is based upon the novels and personal experience of Kathy Reichs, a forensic anthropologist. Reichs has written a dozen books about her forensic anthropologist character, Temperance Brennan. Her latest book, currently on the bestsellers list, is 206 Bones [F REI, also LP REI]. Every day, we are inundated with vast amounts of information. A 24-hour news cycle and thousands of global television and radio networks, coupled with an immense array of online resources, have challenged our long-held perceptions of information management. Rather than merely possessing data, we must also learn the skills necessary to acquire, collate, and evaluate information for any situation. This new type of literacy also requires competency with communication technologies, including computers and mobile devices that can help in our day-to-day decision making. National Information Literacy Awareness Month highlights the need for all Americans to be adept in the skills necessary to effectively navigate the Information Age. Though we may know how to find the information we need, we must also know how to evaluate it. Over the past decade, we have seen a crisis of authenticity emerge. We now live in a world where anyone can publish an opinion or perspective, whether true or not, and have that opinion amplified within the information marketplace. At the same time, Americans have unprecedented access to the diverse and independent sources of information, as well as institutions such as libraries and universities, that can help separate truth from fiction and signal from noise. Our Nation's educators and institutions of learning must be aware of -- and adjust to -- these new realities. In addition to the basic skills of reading, writing, and arithmetic, it is equally important that our students are given the tools required to take advantage of the information available to them. The ability to seek, find, and decipher information can be applied to countless life decisions, whether financial, medical, educational, or technical. NOW, THEREFORE, I, BARACK OBAMA, President of the United States of America, by virtue of the authority vested in me by the Constitution and the laws of the United States, do hereby proclaim October 2009 as National Information Literacy Awareness Month. I call upon the people of the United States to recognize the important role information plays in our daily lives, and appreciate the need for a greater understanding of its impact. The library is the perfect place to find information on your, assistance in finding information if you need it, and tools for evaluating information. We have books such as What Is the Impact of Cyberlife? [YA 302.231 WHA] and The Cult of the Amateur: How Today's Internet is Killing Our Culture by Andrew Keen [303.4833 KEE]. Ever heard of an Exquisite Corpse? It's not what you might think. An Exquisite Corpse is an old game in which people write a phrase on a sheet of paper, fold it over to conceal part of it and pass it on to the next player to do the same. The game ends when someone finishes the story, which is then read aloud. Our "Exquisite Corpse Adventure" works this way: Jon Scieszka, the National Ambassador for Young People's Literature, has written the first episode, which is "pieced together out of so many parts that it is not possible to describe them all here, so go ahead and just start reading!" He has passed it on to a cast of celebrated writers and illustrators, who must eventually bring the story to an end. Every two weeks, there will be a new episode and a new illustration. The story will conclude a year from now. At the recent National Book Festival in Washington, D.C., Scieszka, and author Kate DeCamillo, were interviewed by NPR. Listen here. Jon Scieszka is the author of a gazillion books for kids, many of which we have on our shelves. He is perhaps most famous for The True Story of the 3 Little Pigs [JP SCI] and The Stinky Cheeseman and Other Fairly Stupid Tales [JP SCI]. His series of time travel books, "The Time Warp Trio," are favorites of elementary school boys. To learn why Scieszka is the person he is, don't miss his autobiography written for kids, Knucklehead: Tall Tales & Mostly True Stories of Growing Up Scieszka [J B SCI]. 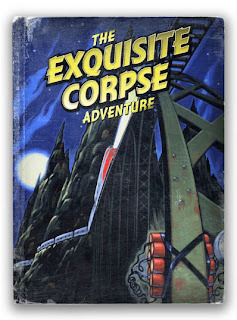 Read The Exquisite Corpse Adventure here. William Carlos Williams--everyone has heard of him. Everyone is familiar with either "The Red Wheelbarrow" or "This Is Just To Say," since they are taught often to students in elementary school and on up. But, if you're like me, you probably don't know much more than those two poems and his name. To learn more about Williams, check out the bio at the Poetry Foundation site. Williams even has a symposium named in his honor, the William Carlos Williams Poetry Symposium. Quite coincidentally, I found that this year's symposium is being held, starting today! So, if you find yourself near Rutherford, New Jersey this weekend, check it out! Now why do I like this simple poem, aside from its subject is a cat? Because of the way it is laid out--it reflects the way a cat moves--slowly and hesitantly. 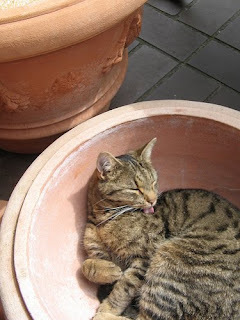 You might ask, Why would a cat step into an empty flowerpot? To quote Shakespeare, "There are more things in heaven and earth, Horatio, then are dreamt of in your philosophy." Cats ALWAYS have their reasons! Williams gets it. Poetry Friday's Round-Up is at Crossover. Last week I wrote about chickens and now, today, I'm writing about them again. There was an article in the New York Times about children's illustrator Jan Brett, and her home in the Berkshires that includes housing for her hens and roosters. You should really check out the slideshow that comes with the article to see the opulent digs her feathered friends occupy! Jan Brett has long been a favorite in our children's room, and her love of chickens can be seen in Daisy Comes Home [JP BRE]. "Look over the garden wall and you will see the six happiest hens in China..." the book begins. The gingerbread baby in Gingerbread Friends [JP BRE] escapes from the fox on the back of a white-crested black Polish rooster. Look for more chicken-related books to come from Ms. Brett now that she has fallen in love with poultry!